WHY PAY FOR IT SERVICES YOU DON’T USE WHEN THERE ARE CLOUD-BASED SERVICES FOR SMALL BUSINESS AVAILABLE? 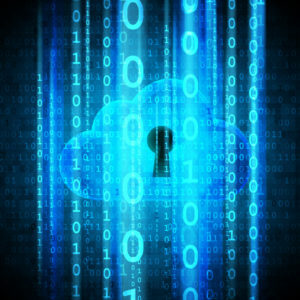 In today’s cloud-based IT environment, businesses must adapt or fall by the wayside. Staying competitive, productive and profitable means finding and implementing more efficient cloud-based services. 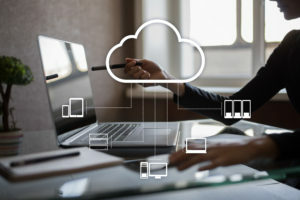 Cloud computing services unite your staff, processes, systems and data, making your entire network more valuable to your small business’s long-term success. Using cloud-based services lets you break free from making huge investments in equipment since you access cloud computing services over the network, on an as-needed basis. Unlike traditional computing, storage and platforms, cloud-based services immediately respond to your business needs. Since cloud-based services are scalable, they eliminate the need for extensive growth and usage planning. Moving to a cloud-based services model is a no-brainer decision for many Kansas City small business owners today. What’s not as cut and dry is whether to go with bundled or à la carte services. But, why pay for bundled cloud computing services that you don’t need and will never use? Choosing à la carte cloud-based services can save your company thousands of dollars annually compared to bundled pricing. Depending on your company’s requirements and usage, count on Invision to deliver the perfect cloud solutions for your growth and budget. Customized to your specific needs, with Invision’s IT cloud-based services you never pay for more than you really need. Hosting your email in the cloud is convenient for small businesses that enjoy (or can get) fast internet service. Our technicians can help your team migrate over to cloud-based email from many email clients like Microsoft, Google and more. On-site data backups to tape or a disk is not always ideal for every small business. Backing up data in the cloud is a convenient way to ensure that no matter what happens – weather catastrophe, fire, theft – your data is safe. Cloud-based monitoring lets our skilled techs keep an eagle eye on your services and essential systems, and if something goes wrong or down, you’ll receive an email or text alert. Supporting productivity takes team effort. With cloud-based patch management, you can relax knowing your staff is keeping their workstations’ programs and operating systems up to date. Managing anti-virus updates using cloud-based services combats the daily threat small businesses face everyday from new viruses and malware. Even without a central server on site, using cloud-computing services allows our techs to accommodate your anti-virus needs – managing and evaluating the status of your anti-virus protection to help keep your network safe. Content filtering, which prevents staff from visiting objectionable or high-risk virus websites, works best when it’s cloud-based because updates are made in real-time vs. periodically. The quality and accessibility of your cloud-based services depend on the quality of the host network’s reliability, performance and security. With nearly 100% up time and industry leading security, Invision’s cloud-computing services for small business can handle your company’s most demanding IT needs. No one understands how technology and cloud services help a small business level the playing field against the competition better than we do. And we can put that power that comes from the cloud in the palm of your hand.